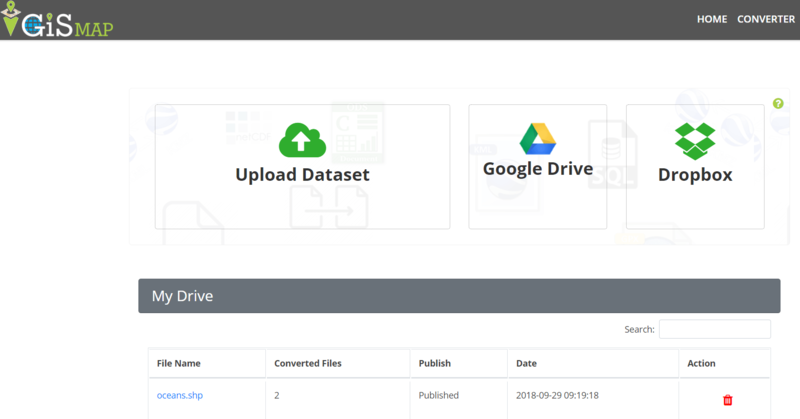 Convert Shapefile to TopoJSON ESRI shapefile are the binary vector data storage format for storing the location, shape, and attributes of geographic features. It is stored as a set of related files and contains one feature class. Whereas TopoJSON (topological geospatial data) is an extension of GeoJSON that encodes topology. The necessity of conversion is to reduce the size of data. While using Shapefile you have to take care of all other mandatory files such as .shx, .dbf, .prj etc. To use shape file zip file is needed so that all file can be processed together. Whereas in other data format such as geojson and topojson one file contains all the necessary information. Login if you already have a account else sign up with full name, work email id, organization name and your role. Click on Converter button on upper right side shown in below image. Now publish your converted file. 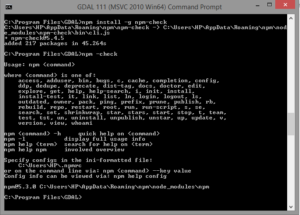 To convert shape file to topojson format offline you need to download GDAL and Node.js. First step is to convert shapefile to geojson data format, which is done by using ogr2ogr command available in GDAL package. After successful installation check ogr2ogr availability by typing ogr2ogr in command prompt or by typing dir that will show all available directories. Here –f option is used to shows the file format, which shows output file format is geojson. 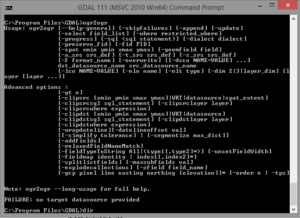 GDAL takes name of output file prior to input file. Here –o option is used to give the output. If command doesn’t run and gives error as no such file or directory. Then specify full path for file for both input and output. The older versions were having topojson as a command to convert geojson data format to topojson data format. Topojson is named as geo2topo command in new version. Mapshaper is an online tool that converts shape file to topojson data format directly. You only need to drag the shape file to http://mapshaper.org/ site. Then use export option to convert this data into topojson format. In Mapshaper there are many option are available to simplify the geometry, which you can explore. You may also look over converting kml to shapefile and shapefile to kml conversion. 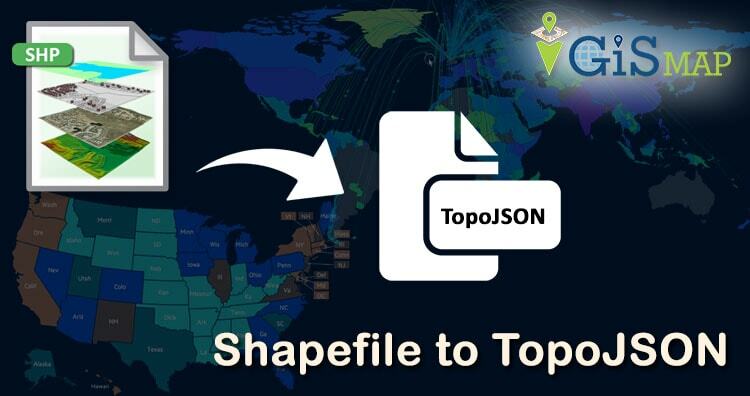 I hope this article helped you in converting the file from Shapefile to TopoJSON. If you find any problem in performing operation do let me know by commenting below.